On a recent drive through Palatine, I spotted some kit houses from Sears Roebuck and Harris Brothers. 111 S. Benton, Palatine. This Sears Mansfield was built between 1930-1933. 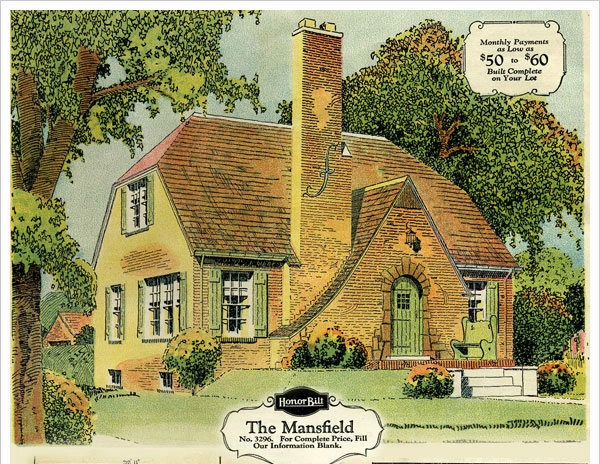 The Sears Mansfield from the 1929 Brick Veneer Honor Bilt Homes catalog. Is that a Sears garage too? 114 N. Cedar St., Palatine. This Sears Vallonia was built between 1923-1929. 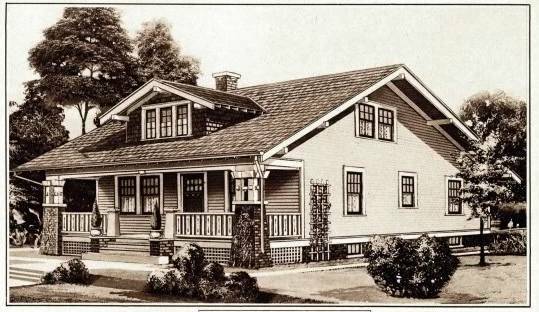 The Sears Vallonia from the 1925 Modern Homes catalog. 31 S. Ashland, Palatine. This Hancock model from Harris Homes was built between 1927-1931. The Harris Hancock from 1928. The sun room still has the original rafter tails.